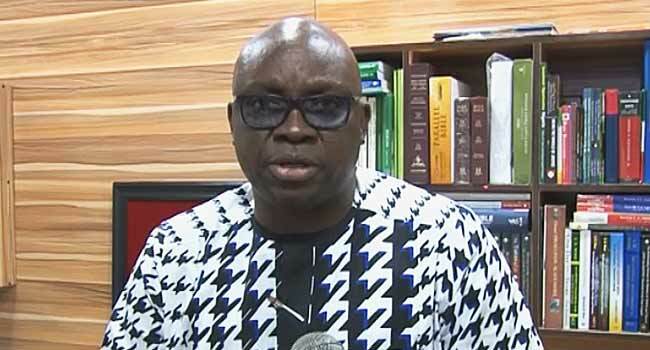 The Ekiti State Governor, Mr Ayodele Fayose, has applauded President Muhammadu Buhari’s declaration of June 12 as Nigeria’s new Democracy Day. In an interview with Channels Television on Thursday, the governor who has been a major critic of the Buhari administration said although he believes it has political undertones, it is a welcome development. “The honour bestowed on late Moshood Kashimawo Abiola is a welcome development even though we see it as political, it doesn’t matter. It is a step in the right direction,” he said. The governor also asked the President to fully declare the late MKO as the winner of the 1993 presidential election. According to him, the GCFR award cannot be conferred on someone who is yet to be declared President as it is against the nation’s Constitution. “We equally want to tell the president to go the whole hog; declare MKO Abiola President of Nigeria because he won the election. Beyond that, you can’t give such a recognition (GCFR) without being President of Nigeria. “This runs against the Constitution. Therefore, the president must equally be courageous enough to go the whole hulk. Declare the result of elections and declare him winner of that election. “We want to say that this is a lesson that whatever you do today, others will unravel it tomorrow. “We condemn the cancellation of that election, we condemn rigging of elections in Nigeria, manipulations and unjust weights in our democratic process,” he added.